The organization needs to effectively handle the crises as they have long term effect on the functioning of the business. The financial sustainability for a non-profit organization has long been of interest to non-profit organization leader and the stakeholder which are linked with the organization. The assignment discusses about the major challenges of financial stability for a non-profit organization and the practice to overcome the challenges. The report will specify the way in which organization can effectively manage its crises and balance financial sustainability with the organization mission. 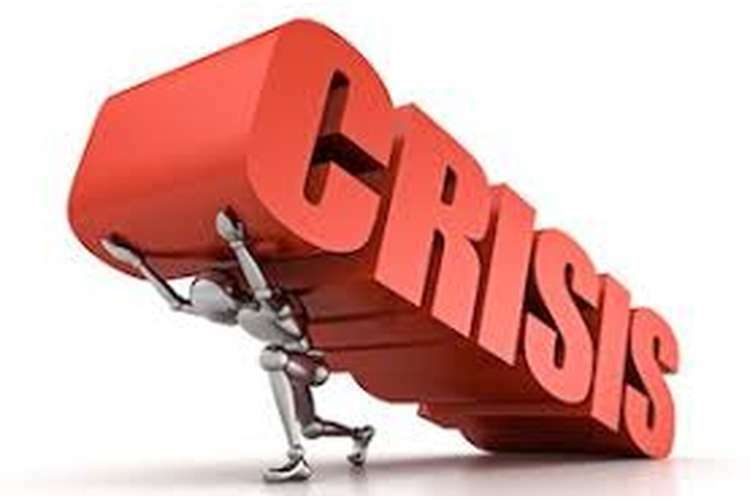 The report specifies the activities to respond your response financial crises. The major challenge with most of the organization is with creating the balance between the financial sustainability with the organization mission. The organization needs to be evaluating the activities and operation based on the profitability and mission impact and interaction between these two dimensions. The following are the key challenges and promising practice of financial sustainability of the non-profit organization. The report is the part of the Rand corporation research report series which states the crises faced by the company and the way through which the company has managed those crises. The research was conducted on Rand health and Rand education which are the division of Rand Corporation and is a non-profit institute that helps in improving policy and decision making through research and analyze. The non-profit organizations are more prone to crises and there are many of the events which can throw the organization into crises. Since the Rand Corporation is the non-profit organization which often has fewer resources than other non-profit organization and has the devastating impact of crises. The major challenge of the non-profit organization is with balancing financial substantiality with organization mission and objective. The report discusses the key challenges and issues and financial sustainability of the non-profit organization. It also discusses the way in which financial sustainability with the organization mission and the ways through which the company can effectively manage its crises. It also provides information how planning helps in avoiding financial crises and how the non-profit organization responds to financial crises. The success of the business depends upon the way in which company handles its crises. The crises can also act as an opportunity for the organization for learning and change if the organization is equipped with the appropriate tools to handle them. Their ways through which the crises can be managed is proper planning and response to the problem. The organization can effectively avoid crises if it prepares properly and will be better equipped to manage such situation (Sontag-padilla, et. al., 2012). The financial sustainability refers to the ability of the administrator to maintain the organization over the long run and vary widely between profit and non-profit organization. The financial sustainability refers to maintaining financial capacity over time and is central to organization function. The financial sustainability for a non-profit organization is to maintain and expand service within the organization. The following are the key challenges and promising issues of financial sustainability for the non-profit organization. Reliance on external funding sources- The most of the non-profit organization faces huge difficulty in raising fund from external sources. The most of the non-profit organization receives fund from multiple sources to sustain their operation (Bernstein, 2012). The substantial cutbacks in both government and foundation funds suggest that the organization needs to review their plan to support the financial sustainability. Creating brand value- The non-profit organization also makes a huge effort on marketing and branding effort to promote and sustain their program and service which help them in raising fund. However, most of the non-profit organization faces difficulty in branding their product. The creating of the brand will help the company in building trust between the non-profit organization and its constituent. Value and accountability to funders- As per Flynn (2013), the foundation and the other donor want to access complete information about the organization operation and finances to ensure the way in which their fund is utilized. The non-profit organization faces huge difficulty in creating value and accountability to funders. The expectation of partnership- Due to the financial crises faced by most of the organization the non-profit organization has started collaboration as a way to respond to the changing resources requirement and minimize the competitive for funding sources. The most of the non-profit leaders are through mutual cooperation are making effort to maximize the impact with the limited resources. Community engagement and leadership- The non-profit organization faces huge difficulty because they have to reside within the community they are serving. It is a huge challenge for the company to promote ownership and collaborate among community members while considering organization mission and objective. The non-profit organization through engaging community board leadership and system of community volunteer can raise the variety of resources and expertise in building a sense of ownership to the community which they are serving. The most of the non-profit organization faces huge difficulty in balancing the need of maintaining financial sustainability and pursue the organization mission and maintain consistent and quality program over time. Examining this factor as the separate and competing goal may create an impact on the long-term growth of the company. On the other hand determining the combination of the effort activity and staff causes a huge effect on many program administrators (Eriksson, 2012). The non-profit organization needs to determine whether their programming activity is creating the desired result and are as per the cost which in relation to the effort. The purpose of the plan – The organization needs to determine the area in relation to which the program will be made to manae crises. For example, the organization may have the purpose of reducing the insurance cost or make effort to maintain a good relationship with its employees. Assign responsibility for risk management planning- The management can effectively handle the risk by creating the committee for the risk management planning which will include the members, employee, and volunteers who are experienced in the non-profit organization and have knowledge of organization structure, procedure, and program (Šontait?-Petkevi?ien?, 2014). The committee needs to ensure that the risk management practiced while performing the entire role and should be integrated across the organization. Identify the risk- The management during this stage needs to identify the risk which may affect the functioning of the business despite how improbable a risk may seem. 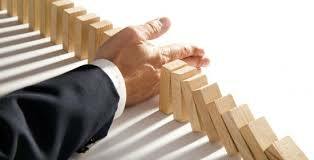 Evaluate and prioritize risk- This stage requires to identify the major risk which may hinder the performance of the business (Lewis, 2015).These risks are those which have huge chances of occurrence and have a major effect on the governance, operation, finances and another factor of the business. 1. Avoid doing an activity which involves huge risk. 2. Modify the activity so that the chances of occurrence of harm are set within the accepted limit. 3. Accept the risk and prepare for consequences. 4. Sharing the risk with the service provider through a contractual agreement between the parties. Implement the plan –The implication of the plan requires Updating the job description for staff and volunteer and communicate the risk management information to all the employees. The organization needs to make effort on the training to understand the responsibility and the way in which they will be held accountable. The organization while implementing needs to include incident and trend in relation to the risk management and ensure they are regularly reported. Review and revise – The plan needs to be regularly reviewed to understand that it is executed in the planned way and there are not many diversions from the set standard. The comprehensive crises response plan requires a lot of time to implement and following are the activities to implement the plan. 1. Formulate a team to form the plan and communicate it with the stakeholder which are related to it and take care till the problem is resolved. 2. Reach key public safety agencies in your community when designing your plan. 3. Create the network of the community institute that you can contact during the crises to provide assistance. 4. The resources which will be required to continue mission critical operation and update their database in relation to a major acquisition made during the period. 5. Store copies of all the policies in safe deposit box of the fireproof safe. 6. Review the process at least once the year to identify the shortfall. The organization in the event of the crises should bring in action the crises response plan and several critical activities on which to focus. Situation assessment- the organization needs to conduct the situation assessment which will help in ascertaining the scope of crises and determine the appropriate response situation. The situation assessment will help in implementing the plan to avoid the effect of the crises. Communication – The organization during the situation of the crises need to ensure that consistent communication is a priority. As stated by Mejri and De Wolf (2013), depending on the nature of the crises the team needs to ensure that how much detail is appropriate for the different stakeholder group to know from board member to staff. The team needs to determine what level of communication will be used for each group. The organization needs to remind the staff that all the media inquiries are routed through an official spokesperson. Ensure wellbeing—it is also important that the organization monitor the emotion health of the staff and leadership during the crises. The crises may lead to the end of the program which may cause loss of job of the employee. The leader must also be aware of the limit of their power and identify the factor which is beyond their control. Since key decision maker is the one who has a great responsibility and often carrying more than their share of stress. Closure- The post review helps in understanding that crises have ended and the review is the opportunity to see what was learned from the crises and provide an update on risk management and how to plan for the future crises. The review of the situation helps in identifying the factor which was the cause of crises and ensure that the organization is more prepared for the next crises if they occur. The most of the non-profit organization fail to meet their revenue projection due to less availability of resources for raising funds. According to Jaques (2012), the major cause of financial sustainability is due to poor financial management and budget planning, large scale economic downturn of the loss of major sources from where the fund can be raised. There are a number of practices undertaken by many non-profit that can weaken their overall fiscal health. The organization which borrows at the low rates against their endowment can be affected when there is a sudden slowdown. Many of the organization to take advantage of real estate boom and may face difficulty in securing their amount and high fixed cost due to collapse in real estate market. The lack of revenue diversification can also affect the sustainability of the non-profit organization as those limited revenue resources are not able to provide financial support. The economic downturn can create a huge effect on the non-profit organization as it increases the likelihood that they will lose its major funder. 1. Ensure that the investment is diversified and verified. 2. Maintain appropriate reserves to meet future needs. 3. Ensure that fixed assets are different from cash in hand. 4. Ensure revenue is available from a variety of sources rather than relying on a single source (Nakayachi, et. Al., 2015). 5. Re-evaluate revenue projection and expenses accordingly. 6. Ensure that financial information is regularly available and the decision making occurs in an efficient way. 7. Carefully consider and keep as flexible the possibility of investing funds in the assets. 8. Regular check over the major funder to identify the major changes in their funding status and priorities. So it can be concluded from the above study that the organization needs to effectively manage the crises as it has a huge effect on the functioning of the business. The sustainability for a non-profit organization has been of interest to the long term interest to organization leaders and the communities in which non-profit resides. Due to the economic downturn in the recent year the organization is facing huge difficulty in the long term. The report helps in understanding the ways though the organization can effectively manage its crises and also identify the factor which is to be considered during the crises. The report has also helped in identifying the key issues which may cause crises for the company. Eriksson, M.,2012. “On-line strategic crisis communication: in search of a descriptive model approach”.International Journal of Strategic Communication,6(4):309327http://dx.doi.org/10.1080/1553118X.2012.711403. Flynn, T.T., 2013. “Into the crisis vortex: Managing and communicating issues, risks and crises”. Journal of Professional Communication, 2(1). Lewis, M.A., 2015. “The Fall of the Lehman Brothers Could IT Have Been Avoided?”. Browser Download This Paper. Mejri, M. and De Wolf, D., 2013. “Crisis management: lessons learnt from the BP Deepwater Horizon spill oil”. Business Management and Strategy, 4(2), p.67. Nakayachi, K., Yokoyama, H.M. and Oki, S., 2015. “Public anxiety after the 2011 Tohoku earthquake: Fluctuations in hazard perception after catastrophe”. Journal of Risk Research, 18(2), pp.156-169. Sontag-padilla, L.M., Staplefoote, L., Morganti, K. G., 2012. “Financial sustainability for non-profit organization”. A review of literature. Šontait?-Petkevi?ien?, M., 2014. “Crisis management to avoid damage for corporate reputation: the case of retail chain crisis in the Baltic countries”. Procedia-Social and Behavioral Sciences, 156, pp.452-457.